Mountfield is one of those brands that everyone loves and knows. 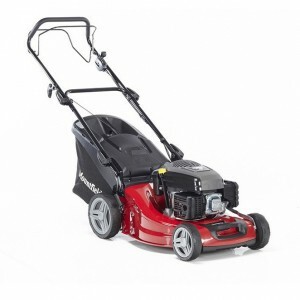 High quality product excellently built, the mountfield lawnmower will be an excellent choice to keep you lawn trimmed. HW531 PD 53cm self propelled mower with large 280mm/11in rear wheels and 5 heights of cut from 25mm to 80mm. 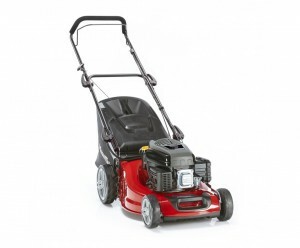 Fitted with a Mountfield ST55 OHV engine, a 70 litre grass collector and quick release handles for easy storage. Suitable for long grass areas and larger gardens up to 50m x 50m. The Mountfield S481 PD is a popular machine. It has a 48cm/19" cutting width and power driven rear wheels - no need to push! 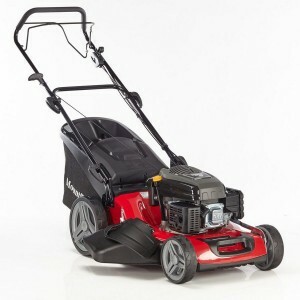 Features include a robust steel chassis powder coated for longevity, Mountfield 160cc OHV 4 stroke engine, single lever height of cut adjustment, a 60 litre grass collector and a mulching plug supplied as standard. This easy start machine is a dream to use and gives a superb finish. Suitable for medium sized gardens up to 40m x 40m. A general purpose mower, the S481 HP is a push machine with an easy start Mountfield over head valve engine and robust steel body. Centralised cutting height with 6 positions from 26 to 72mm and anti scalp plate. Includes a mulching plug, there is no need to collect the grass, you can recycle the grass clippings back into the lawn, saving you time, money and effort. A 48cm/19" cutting width makes this machine suitable for moderate sized gardens up to 40m x 40m.